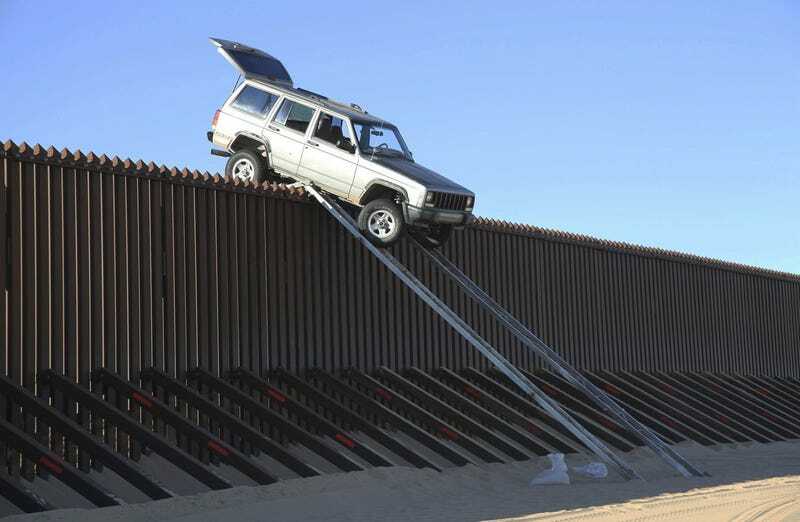 A Jeep Cherokee making an attempt to cross the wall near Yuma, Arizona in 2011, using a foldable ramp that was attached to the truck. The suspected smugglers, driving from the U.S., escaped into Mexico leaving behind 1000 pounds of marijuana. Cherokees don’t normally struggle with breakover angle, it looks like they could have used a little bit of a lift. Or maybe some more MaxTrax?